After closing his private investigation firm and moving to a small cabin in the Vermont woods, Oakley Tyler can finally begin his retirement. But his peace is interrupted when Jeremiah Smith visits and asks the ex-PI to help him stop unidentified men from killing his grandson, a local newspaper reporter. 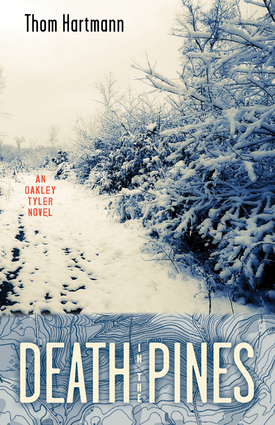 Tyler is reluctant to take the case, wishing to get back to a life of leisure, but when Smith is killed in a hit-and-run car accident, Tyler is convinced someone has silenced the old man to protect a secret. Delving into the mystery, Tyler finds himself investigating the world of genetic engineering and its potentially devastating impact on the environment. And after enduring numerous attempts on his life, Tyler begins to wonder if he’ll live long enough to bring the killer to justice. Thom Hartmann is a former psychotherapist, a progressive radio talk-show host and liberal commentator, and a bestselling nonfiction author of several books, including The Crash of 2016. He lives in Portland, Oregon.